Here’s the schedule for today’s Doyon Utilities USSA Distance National Championships Sprint Event. There are some minor changes from the original schedule due to the addition of a junior sprint bracket. Click on the link at the end of this sentence to go to a YouTube channel where you can link to Live Video of the events. The name of the channel is Benjamin Johnson. Live results are provided by Summit Systems Timing of Salt Lake City. Welcome to the 2017 SuperTour Finals and Distance National Championships. 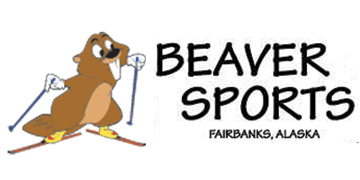 The Nordic Ski Club of Fairbanks (NSCF) is happy to host and organize this series for the third time. The NSCF has been hard at work preparing for the event with substantial improvements and changes to the Birch Hill Recreation Area trail system and facilities in an effort to provide visiting competitors with the best competition courses possible, as well as improved and expanded waxing facilities. Although Fairbanks is not a terribly snowy place (average snowfall is 65″-70″/year) we have had a good and snowy winter thus far (10th-snowiest winter on record as of the end of February), and the trails are in excellent condition. Please address any questions about the event to Chief of Competition John Estle at sportalaska [at] gci [dot] net, or call or text him at 907-347-1061. If you text, please identify yourself so that we know who to reply to. You can now view maps and profiles of the race courses. Click on the “COURSES” menu item above to get to a page where there are links to maps and profiles of all the courses. You are now able register online through the USSA website. If you have any questions about how to make that work for you, please e-mail John Estle, Chief of Competition. The registration interface is not completely intuitive, so don’t be afraid to ask for help. The Athlete Event Registration link will take you to a page where you have to find the Distance National Championships/SuperTour Finals event. If you are planning to race all four races, click on the button to enter all four for the $160 fee. If you are planning to race three of the four races, click on the button to enter all four for the $160 fee and then e-mail us to let us know which race you are not entering. We will issue you a check for $25 ($160 minus 3 x $45 per race entry fee [$135] = $25) upon your check in at the championships. If you are a junior who is only racing the junior races on March 27 and/or April 2, scroll down to the bottom and enter those. If you are a junior who wants to race in all four races, use the $160 entry fee and send us an e-mail if you want to race the junior distances on the March 27 and/or April 2. If you are a senior who desires to race only one or two races, please contact us by e-mail and we will make alternate arrangements.